Ski Swift’s passion is travel, we love the snow as well as the sun! Our aim is to find you the perfect ski destination to suit your taste and budget. We cover all major ski resorts from France, Italy, Austria, Andorra, Slovenia, Bulgaria, Andorra, Spain, Norway, Romania, Switzerland and Canada, and we offer destinations from 21 major UK airports. 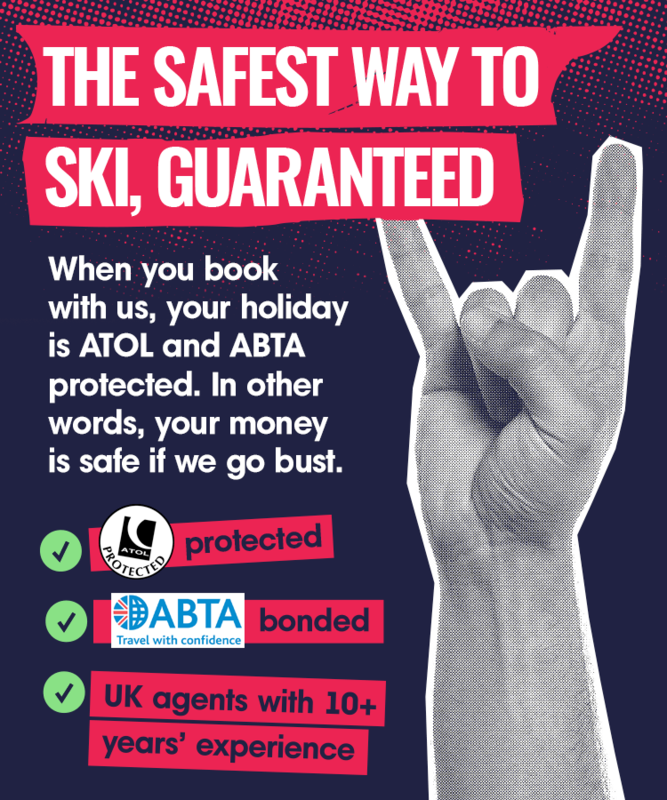 With our industry leading ultra low deposits and 0% interest holidays, you can book ahead and secure your ski holiday from as little as £89 per person, paying the final balance up until 12 weeks before departure. And with the option to spread the cost of your holiday interest free, you can enjoy the holiday countdown without the financial worry. You can call us on 0191 513 6977, open 8am to 8pm 7 days a week, email info@skiswift.co.uk or anytime on Twitter and Facebook. Ski Swift is operated by Hello Sunshine, an independent travel agent based in the North East of the UK. Cheap Ski Holidays is a trading name of Hello Sunshine ABTA number K2931 an Agent for ATOL Protected Operators. a trading division of Hays Travel Ltd, who are Members of ABTA. Hello Sunshine sells travel services on behalf of Hays Travel Limited and benefits from Hays Travel’s membership of ABTA with membership number K2931. ABTA and ABTA Members help holidaymakers to get the most from their travel and assist them when things do not go according to plan. We are obliged to maintain a high standard of service to you by ABTA’s Code of Conduct. We are members of ABTA, ABTA number K2931 and ATOL protected, so you can book with confidence that your money is safe and we are proud to say that we are part of the Hays Travel Group too. No matter if you ski, board or never been on snow before, we will try our best to find the right destination to suit you. The only job you will have is to pick which destination and accommodation you want. We aim to make our customers top priority and provide the highest level of customer service and knowledge we can. Our team have years of experience in travel and all have skied numerous times before. They share our passion for skiing holidays. We are open 7 days a week and aim to answer your call within seconds, and if we can’t we will always get back to you when possible. The accommodation we feature includes basic 1* right through to 5* luxury, we offer self catered, bed and breakfast, half board, full board, all inclusive, room only and catered chalets.